Enjoy hours of body-bobbling fun that’s powered by the sun! 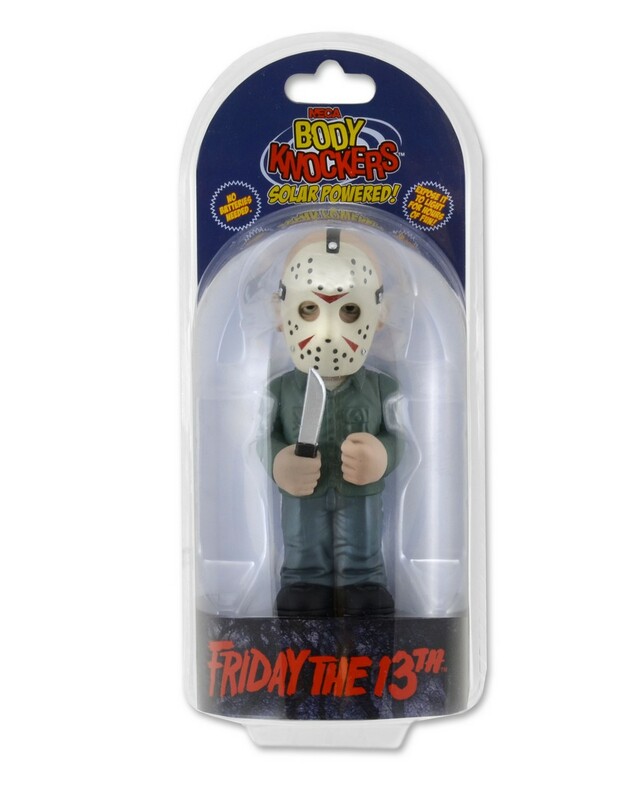 From the iconic horror movie Friday the 13th, Jason rocks from side to side when exposed to light. Stands 6″ tall. Collect the entire line of Body Knockers and watch your favorite characters dance the day away!